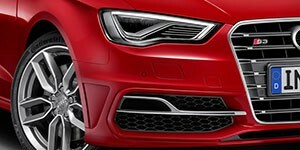 Audi: – class, style, sophistication and freakishly good looking – words just aren’t enough to describe these machines. Owning one is an immersive experience; not to be taken lightly for those that are lucky enough to indulge. To make that experience last, immerse your Audi in the quality care and attention that the accomplished team at Superior Automotive can offer. Our factory trained technicians have the understanding, passion and commitment to deliver you an outstanding vehicle servicing experience for your Audi each and every time you visit.